Welcome to the January/February issue of Bend Magazine, where our readers weigh in on the best in dining, drinks, entertainment and more. 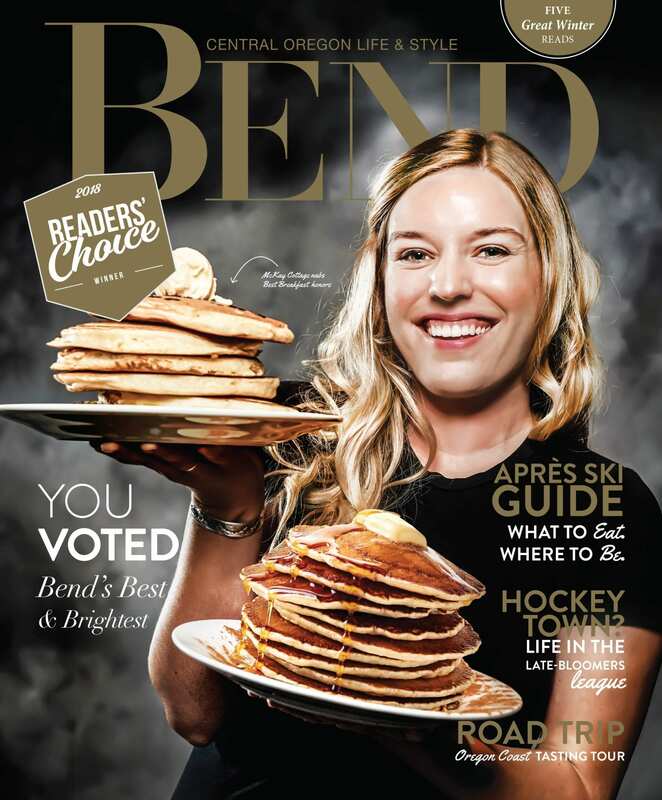 It’s our mission here at Bend Magazine to bring you the best of Bend and Central Oregon the whole year round. We spend a lot of time and effort capturing the most interesting people, places, ideas and more. In a sense, every issue that we make can be considered a “Best Of” edition. The difference this time is that we turned the decision making over to you. This issue has the distinction of being our inaugural Readers’ Choice Awards. Grab a copy today to find out who won, and discover more outdoor adventures, favorite eats and sips around town, home design inspiration and more.